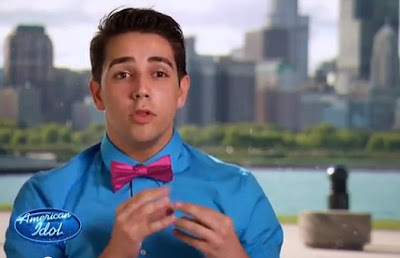 Lazaro Arbos didn’t let his significant stutter stop him from auditioning for "American Idol". The 21-year-old Cuban native began stuttering at age 6. The stuttering got even worse after he moved to Florida when he was 10. There were times he couldn’t speak at all, and his mother had to say everything for him. Eventually, she said, "I would just say ‘Sing to me! Sing to me!’"
But Arbos’ stutter was nowhere to be found during his moving rendition of "Bridge Over Troubled Water", and the judges were left in awe. Watch his inspiring performance after the jump.